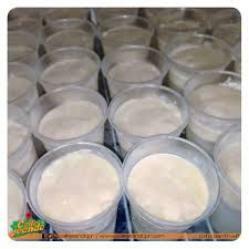 Limber De Coco (Coconut Ice) - Tienditadepuertorico.com - Buy Puertorican Food Here!! Mix evaporated milk, coconut milk, sugar, vanilla, egg yolk and cinammon in a bowl. Add additional sugar and cinammon to taste. Pour in plastic glasses or ice trays and freeze. *Coconut Milk is NOT the same as coconut water.